Q: When i click on a folder, I dont see anything? A. Some folders will have carrots next to them, which means there are folders located within that folder so it needs to be expanded. The best way to expand is to double click the folder, as this allows you to see any documents inside that folder as well as any subfolders. Just expanding the carrot does not show any single documents that aren’t inside the subfolders. 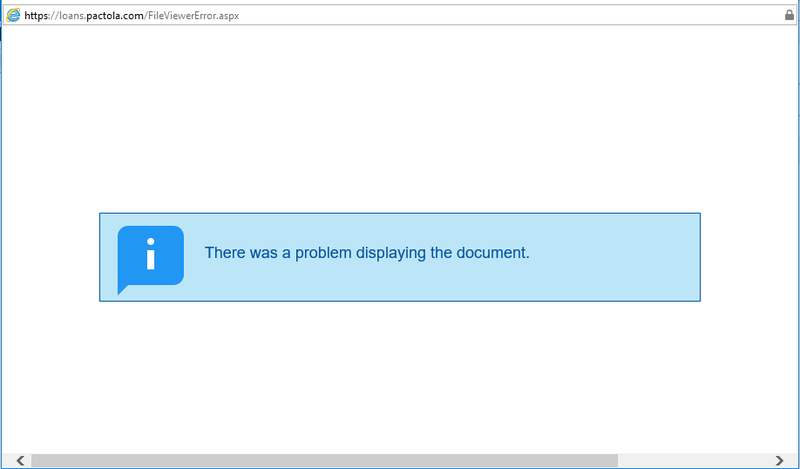 Q: I am Receiving an error message that there is a problem displaying the document ? A. If you have never used the PacPortal before, verify that you have a PDF viewer on your computer. Otherwise, this is an issue with the browser’s cache needing cleared. The browser’s cache helps enable websites to work more rapidly by storing information frequently used on a site on your hard drive via browser’s cache. Normally, when you hit ‘refresh’ on the browser it will update any changes made by checking if there is anything new since the last download; however, if a major change like an updated pdf is completed, you will need to manually clear the browser’s cache. Go into your browser settings, and clear the cache, browsing history, and temporary internet cookies. Q: I am Getting an error that the file type is not supported ? A. Excel spreadsheets and power point presentations are not supported on the PacPortal. We try to avoid these getting uploaded as much as possible, but if one is on the portal it either slipped through the cracks or the conversion to a PDF made the document unreadable. In this case, right click the document and click ‘download’ to view it. Q: I click on the Guarantor & COBorrowers Document, but i just see a list of guarantors. Where is the guarantor information located on the pacportal? A. To access the Guarantor information, click on the ‘Guarantors’ tab next to the ‘Loan Bundle’ tab. This will bring up a list of any guarantors on the loan. Click the name of the guarantor whom you want to access, and this will take you to his or her specific File Bundle page. If you are only seeing a list of loans which that guarantor his linked to, click on the ‘File Bundle’ tab next to the ‘Loans’ tab.